Tip - Any dumbbell exercise that you choose should involve lifting those dumbbells over your head because this will also help to increase your heart rate. Leaving the age of 20 doesn't have to mean that you lose all of the advantages that come with being young. Through proper dieting, exercise, and rest you can maintain the structure that you developed in your 20's and even improve on it. Though it would be ideal to accomplish the amount of work that you did while you were younger it is important to note that life is slowing down a little bit. Stretching and proper warm-ups and will be essential to remaining healthy as you continue to strengthen your body. The bench press is an exercise that many people, whether young or old, use to gauge their strength. Though it is not the best indicator of overall strength the bench press work several muscle groups in the upper body. Adding the bench press to your workout will allow you to increase the pushing force that you can exert with your body. 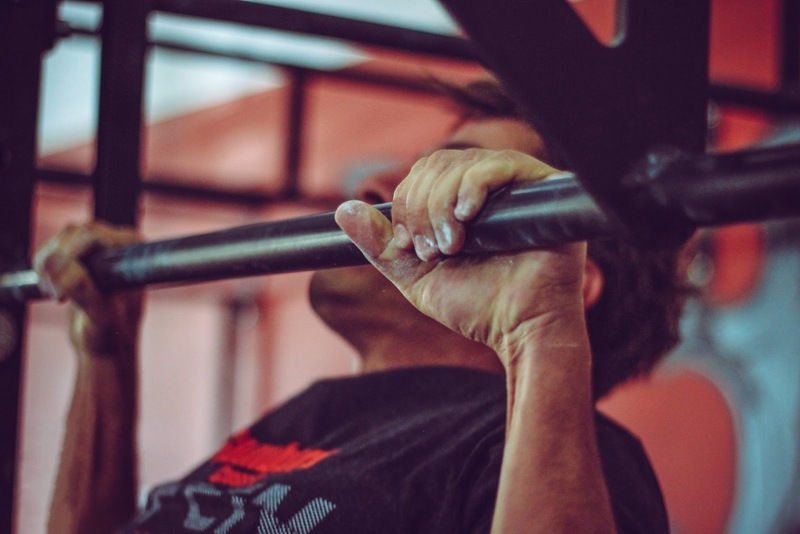 If previous injuries or mobility prevent you from performing the bench press properly then a chest press machine will be more than sufficient enough. 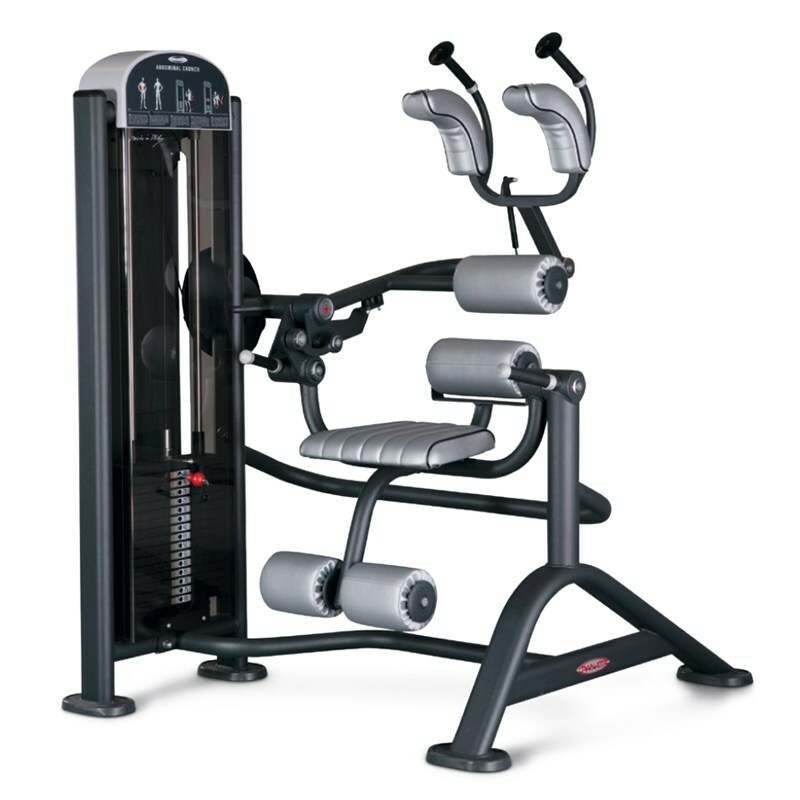 Machines such as the Hammer Strength chest press machine will reduce the stress on your joints while allowing you to target the muscle groups that you want to work. 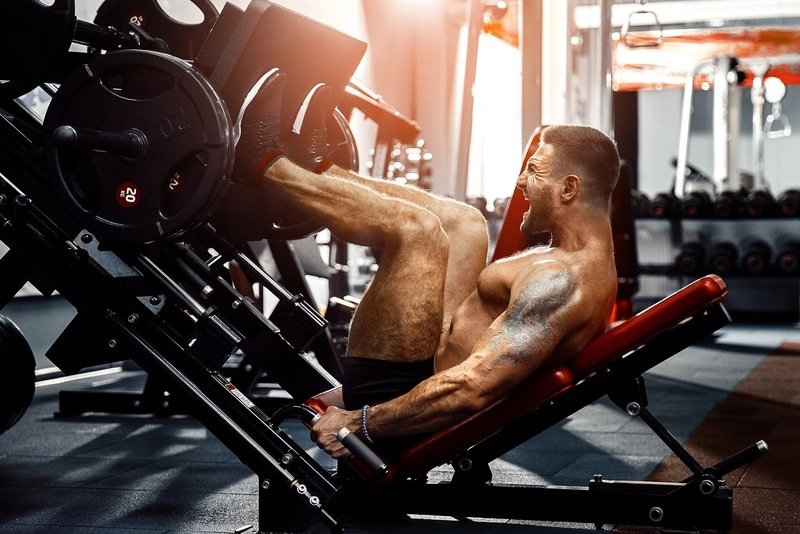 Additionally, machines like the Hammer Strength chest press can be utilized for a variety of movements which will allow you to target numerous muscles during your workout. Looking for home gym equipment? Squatting a natural motion that the human body performs on a daily basis. Tasks as simple as sitting down in a chair use the pattern of motion involved with a squat. 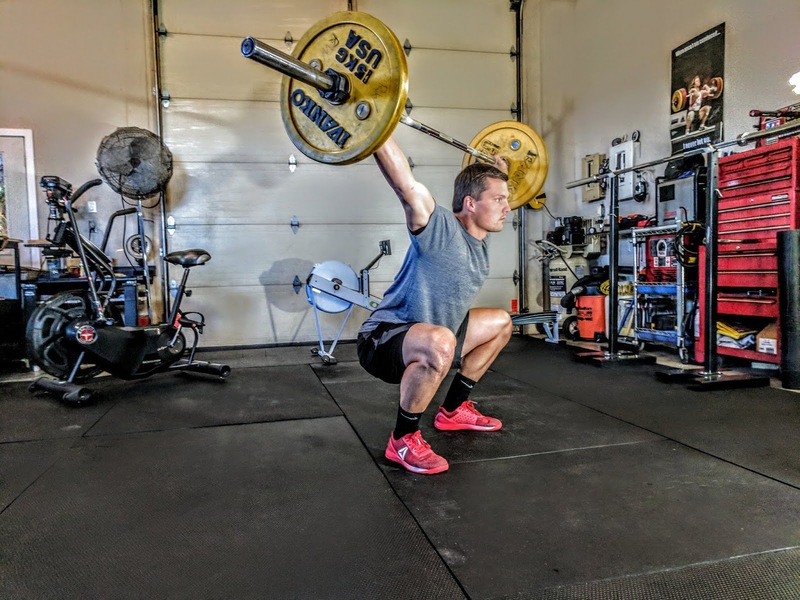 Adding squats to your workout will allow you to strengthen your legs and core, which are the most utilized parts of the body. Aside from building your core strength squats also will help you burn body fat all while improving your circulation during the process. Much like squats, deadlifts are a great way to strengthen your legs and core. Your body will utilizes a number of muscle groups in order to complete the exercise properly, even your grip strength will be improved by the deadlift. Deadlifts, as a result of the muscles used to perform the exercise, also will help improve your posture. As long as you perform the deadlift with the proper form the deadlift is one of the safest exercises for your body to perform. Strength training is all-inclusive. Many people often miss cardio or outright ignore it when they are training with weights. However, it is important that your body is strong fully. Sprinting is a great way for you to strengthen your muscles and increase your flexibility all while burning fat. It can be easy to just want to dive right into a sprint workout but don't. Sprinting can be taxing on your body and will require that your muscles are warm. Prior to sprinting you should make sure that you are properly warmed up. Perform a series of dynamic stretches and exercises to prepare your body. If you’re a man over 30, now’s the time to take your health seriously because when you reach 35, early middle age begins, making it harder for you to build strength. Fortunately, you can maintain your health by doing the cardio workouts below. Get a Life Fitness treadmill to begin. Going for a jog is simple, plus it burns many calories while increasing your speed. And, you don’t have to do it alone. Make it social and more fun by jogging with a friend or loved one. When you were a kid, did you ride your bike to school or with friends? Just because you’re all grown up, it doesn’t mean you have to give it up for good. If you commute to work, take a break the car or bus for a while and ride to work instead. Looking for a recumbent exercise bike? If you swim quickly for just a minute, you will burn 14 calories. The amount of the calories you burn is predicated on the type of stroke you do. For example, if you do the breaststroke, you would burn fewer calories than if you were doing the butterfly. To burn as many calories as possible, alternate different kinds of swim exercises during your workout routine. Burpees are basically intense versions of push-ups. If you do one minute’s worth of basic burpees, you will burn 10 calories. You can do them alone or pair it with other exercise routines. Jumping rope isn’t just for kids. As a matter of fact, professionals like wrestlers and boxers use this method to warm up for their matches. By jumping rope for at least half an hour, you burn 500 calories. Consider signing up for a dance class. Dancing tones your muscles, ameliorates coordination, and it can be fun. If you don’t want to sign up for a class, create your own moves to entertain friends or just yourself. The great thing about jumping jacks is that you can do them indoors or outdoors without leaving your home. Not only do jumping jacks help your heart; they boost your metabolism. Just do these for about 10 minutes, and you will burn 100 calories. With kickboxing, you help your heart, plus learn self-defense moves. It burns about 10 to 15 calories a minute. You can sign up for a kickboxing class or learn techniques on your through an online video. The great thing about HIIT is that you can burn a lot of calories in a short amount of time. It involves combining various types of exercises. Pick two or more of the above cardio workouts and create your own exercise regimens. Besides doing these exercises, you should schedule a visit to a doctor once a year to ensure good health. Begin your morning by running on a Life Fitness treadmill, then carrying out these workouts. If you have any questions or statements, please comment below when you can. 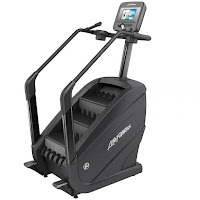 The Stairmaster is an exercise apparatus that usually comes in the form of a stepmill, but it also comes in the forms of a console stepper or bike. Consider getting one or more of these used exercise machines for sale that you can use to try out the exercises below. Before you start these exercises, you have to know about the benefits they bring you. A Stairmaster promotes cardio exercise, weight loss, and it helps you breathe better. Of course, like everything, there’s a downside. Stairmaster exercises only focus on the lower body, ignoring the upper body. The exercises may also hurt your legs after a period, so take care during your exercise routine. Walking forward is okay for strengthening hamstrings and glutes, but if it’s the only thing you do, it gets boring after a while. Walking backward doesn’t just change things up; it focuses on exercises different muscles. Adjust the Stairmaster at a slow speed, then step on every other step. Once you get more comfortable with this routine, set it at a faster speed for more of a challenge. Balance yourself by putting your hands on the side rails. Then, step up with one leg before lifting up the one behind you as you step up. Continue to alternate your steps while keeping your back straight. While moving sideways, cross one leg over the other while stepping up to the next stair. This exercise is like walking up a flight of stairs, except they’re moving stairs, of course. The purpose of this workout is to exercise your quads. When you hear the word “sprinting,” you usually think of someone making a quick run to somewhere. Well, when the term is used as related to Stairmasters, it’s basically a fast-paced walk. As you sprint, give at least 75 percent of effort; in other words, you should have a fast heart rate and have a hard time speaking while sprinting. Though you have the choice to do the above exercises individually, why not make it more interesting by putting them together to create one workout routine? Follow the one below or mix it up to add your own touch to it. Now you know about Stairmaster workouts, consider doing one or more of the steps at least 75 to 150 minutes per week. If you happen to be a fitness instructor, you can pass this information on to your clients during your next exercise session. Are you ready to purchase used exercise equipment to get started? Do you have any more questions or comments? Please have your say in the comment section. Are you looking for a treadmill that would satisfy your gym clients? Read below about these great new and used exercise machines for sale. 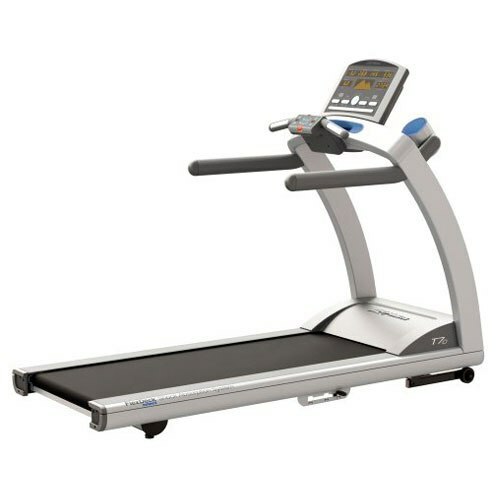 The Life Fitness 95T Inspire Treadmill combines helpful exercise programs with convenient accessories. Some of the programs include Fat Burn, Quick Start, and Speed Training. Additionally, it has cup holders for one to place water bottles and an integrated reading rack for favorite books and magazines. There’s nothing like a treadmill that can be operated by one’s fingertips. It comes with one basic two-window LCD screen and an optional 15-inch touch screen. Both screens possess iPod capability, so users are able to listen to music while exercising. What’s great about the Life Fitness T7-0 Treadmill is that it has a sleek design and customizable settings. Its Go System Quick Start feature memorizes a user’s exercise routines like run and walk speeds. Best of all, it has removable cup holders, which makes them simple to clean. At $499, the Matrix Mx-T3x Treadmill’s a steal! Its no-frills design gives off a simple, yet cool appearance. It comes with an UltimateT polymer deck that requires no upkeep, plus an integrated contact heart rate. The awesome thing about the Precor 946i Experience Treadmill is that it blends style with a low-impact structure. Like all Precor brand treadmills, it includes Integrated Footplant Technology, a component that gives the user more control over their exercise regimen. It also has an Emergency Stop switch with an attached safety clip for the user to shut it off when needed. The Cyber 770T treadmill contains top-grade steel material, which makes it last for years to come, and makes it impervious to heavy and frequent usage. It also comes with USB ports, so the user can exercise while charging mobile devices. There’s even a personal cooling fan for one to keep the heat at bay while walking or jogging. At a little over 300 pounds, the Green Series 600 Light Commercial Treadmill sure lives up to the “light” part of its name. Not only is it lightweight; it frees up room in your gym. This treadmill is covered with a zinc-dipped coating, guarding it against rust. With the Woodway 4Front Treadmill, the user can exercise and watch television! Best of all, its 19-inch LCD HDTV can operate without a separate power source. Plus, the user is able to create up to 99 custom workout programs. The Life Fitness Discover SE3 Treadmill offers Internet connectivity and entertainment with its integrated LCD touch-screen. Users can monitor their heart rate with both the Polar telemetry and the Lifepulse features. It also comes with the FlexDeck Shock Absorption System, which reduces knee and joint stress while augmenting comfort. 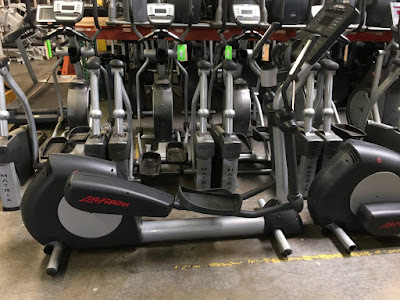 Now you know a little bit about these awesome new and used exercise equipment, feel free to ask questions or make a statement below in the comment section. 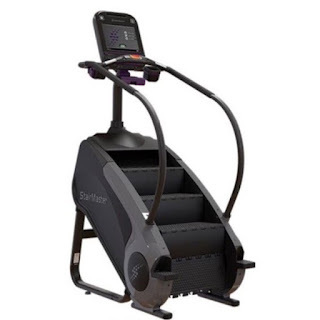 Octane LateralX LX8000 – Lateral Elliptical - This award-winning elliptical machine features adjustable lateral movement and vertical stepping for moving both front and back, as well as left to right. 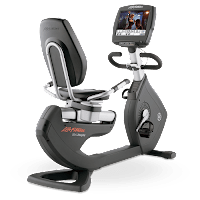 It also includes 30 resistance levels, 13 different workout programs, it’s self-powered, it has an adjustable 3-D motion, and a well-sized LED display console with messaging center. Octane Pro 4700 Elliptical - Designed for both commercial use or home gym use, this elliptical machine has adjustable stride lengths to mimic walking, jogging, and running, 30 different resistance levels, and a touch screen console with a variety of features. Precor 835 AMT Adaptive Motion Trainer with Open Stride - This elliptical trainer has more of an innovative design with biomechanics validated by Western Washington University Biomechanics Lab so it’s suitable for men and women of all fitness levels and sizes. It also offers both upper and lower body workouts, a unique open stride feature, and adaptive stride length. There are a lot of advantages to building a home gym. 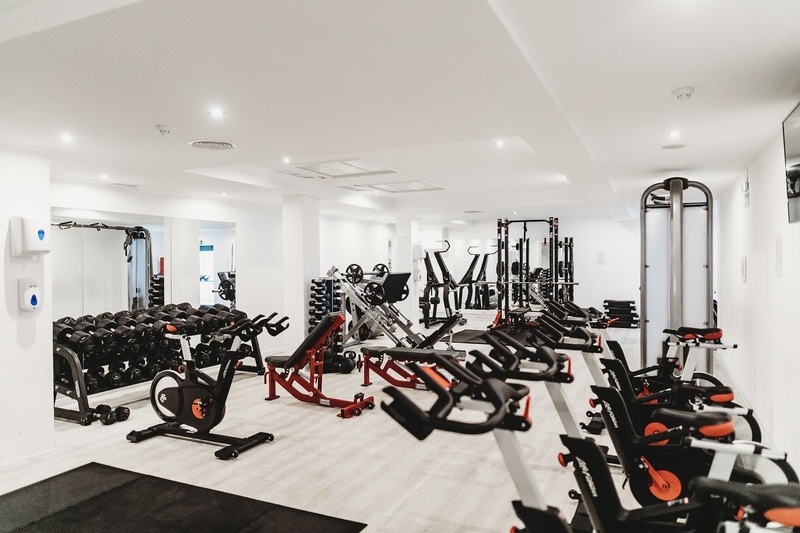 If you’re a gym owner or fitness enthusiast building your own home gym can save you time and money, offer you privacy and convenience, and it allows you the ability to control your own environment. Purchasing a reliable, high-quality home gym package is a great place to start when beginning the process of setting up your own home gym. Elliptical machines are one of the more popular machines used in gyms. They offer a whole body workout, they’re an excellent weight bearing exercise, they don’t occupy a lot of space, and maintenance of the machine is fairly easily done. Whether you’re choosing to use a garage or a dedicated room in your home, including a high quality elliptical machine in your home gym is smart choice. Factors to consider when shopping for an elliptical machine are stability, resistance levels, incline adjustment levels, and flywheel types. To get the best use out of an elliptical machine make sure the machine is stable and fits your body well. Heavier machines are typically more stable, but many of the higher priced elliptical machines offer stability and are more lightweight. Resistance levels determine how intense a workout will be and many elliptical machines offer varying levels of resistance. 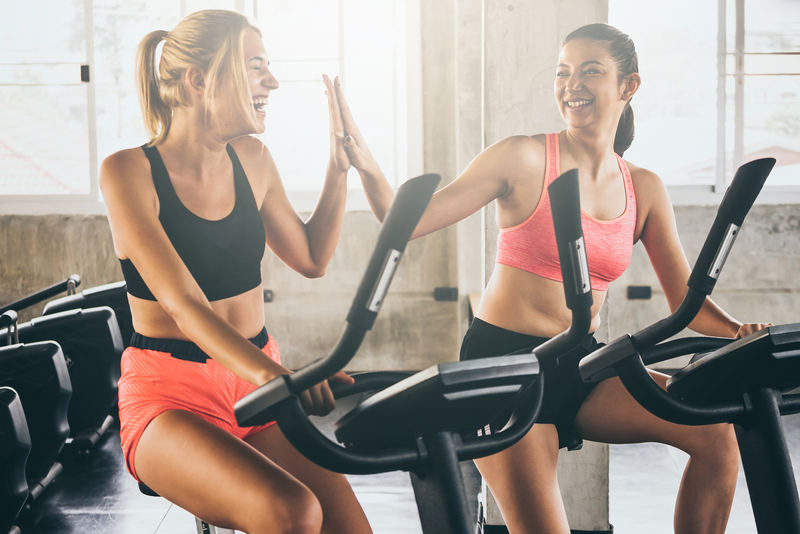 To ensure an elliptical machine is right for you, make sure the lowest resistance is easy to pedal and the higher resistance levels offer some level of difficulty that way there is space to advance in your training. The flywheel controls the way the pedals and hand grips move and the heavier it is the quieter and smoother it is, so consider finding an elliptical machine with a flywheel that is at a weight that’s best for you. Precor Elliptical EFX 546 V3 - This is a popular model sold by Precor and is a great fit for any home gym. It includes 20 resistance levels, the ability to be inclined up to a 35 degree angle, and eight workout programs. 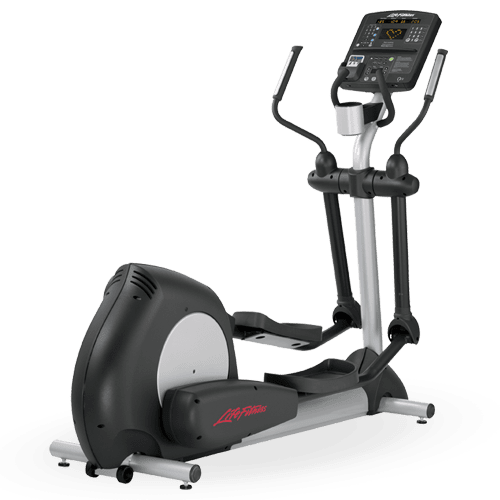 Vision Fitness Elliptical X6600 HRT - This elliptical is a top-rated machine that offers high-caliber motion and space efficient designs that make it desirable for any home gym. Precor EFX 524i Elliptical Crosstrainer - Designed for high-end home and light commercial use, this elliptical machine has five programs and 20 different resistance levels. It has a variety of workout plans that allow for a person to be able to work all of their lower body muscles and keep workouts new and invigorating. In addition to elliptical machines, exercise bikes, strength equipment, and treadmills are other popular items included in garage and home gym packages. Smaller equipment items considered staples in home gyms are dumbbells, barbells, kettlebells, training benches, and pull up frames and bars. Many people look forward to going to the gym daily but at times this can be a daunting task. With traffic and busy schedules it can be difficult to make it to the gym every day. However, going to the gym can be much easier if the gym is in your own home. 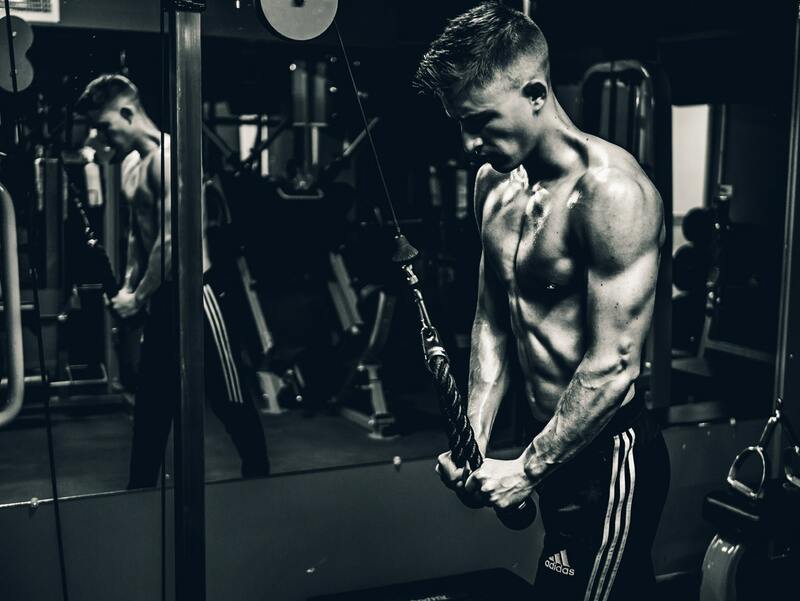 There are many pieces of gym equipment that are available on the market but these are five essential pieces of equipment that you should have in your own home gym. 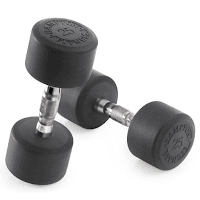 There are two types of dumbbells available on the market. You will have a choice between adjustable dumbbells or normal dumbbells. Your choice between the two will depend on your budget and what you find more convenient. A barbell is one of the most important pieces of gym equipment. A majority of exercises utilize a barbell in some shape or form. When you are looking for a barbell you will want to find options that have great grip supports. Additionally, you will want to purchase barbells that have great reputations for their strength and resistance to bending. 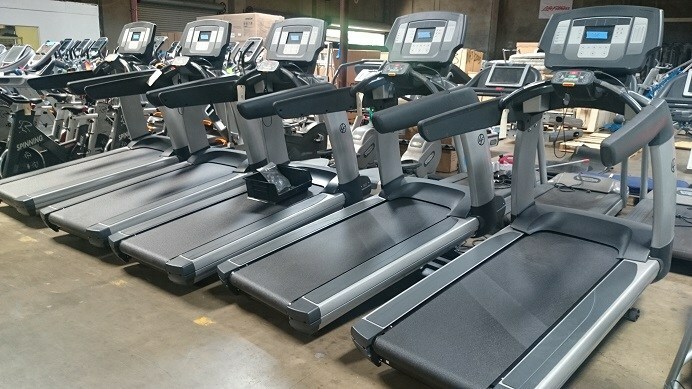 Looking for used gym equipment for home? Weight plates are essential to any gym. 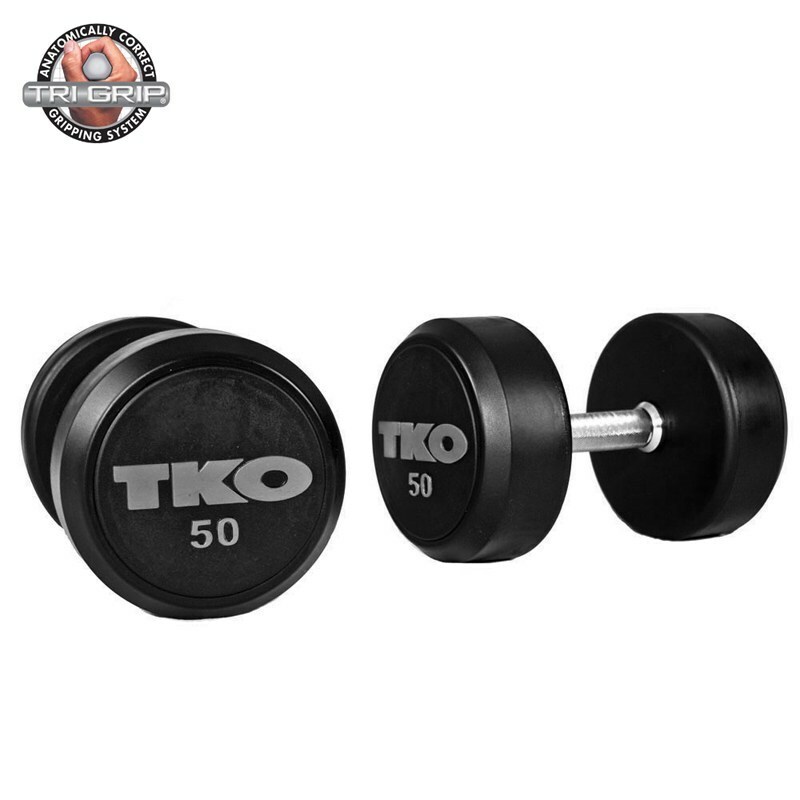 There are many different weights available on the market and different plate types. When you are looking into purchasing weight plates try to purchase a variety of weights and plate materials. This will allow you to diversify your exercises even more. Depending on the workouts that you do a squat rack may be essential to your home gym. A squat rack will allow you to complete a variety of movements all while providing you with the protection given by the safety bars. There are many squat racks available on the market to meet the needs of a variety of budgets. Nearly every workout has some variation involving a bench. Benches provide your body with support while allowing you to target specific muscle groups during your workout. Combined with the other pieces of equipment on this list an adjustable bench will be the final missing piece that will complete your home gym setup in South California. When you are searching for benches you will want to select options that adjustable but durable. Benches can have a lot of bolted parts and it is important for your safety that these parts do not loosen over time. You will want to select a sturdy bench that can also be adjusted in different positions. Pieces of gym equipment undergo a lot of wear and tear on a consistent basis. Though it may be best to purchase your gym equipment new you can also find great deals on used gym equipment. If you find used gym equipment that you like make sure to perform a thorough inspection of the equipment to ensure that it has minimal damage. 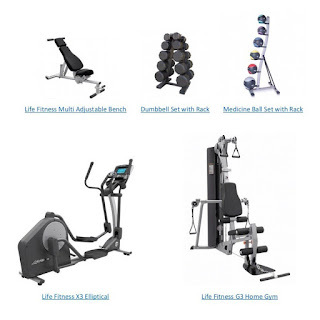 Should you decide to purchase all of your equipment new, you may also be able to find a great home gym package if you search online at various retailers. A home gym package is a great opportunity to gather multiple pieces of equipment while saving some money in the process. If you are starting a gym or you are already running one, you have to understand that you are in quite a competitive industry. New fitness centers are being opened every day, and you have to offer the very best to remain competitive. Therefore, in addition to choosing the right location for your gym and getting professional gym instructors, you have to get the right gym equipment from top brands such as Panatta Gym Equipment. Below is a rundown of the gym equipment that can set your fitness center apart and give you an edge in this very competitive market. A training bench is a platform used for weight training exercises. It should be adjustable in that it can be moved from flat to inclined positions. There is a wide range of benches available in the market, and you have to do your due diligence to get value for money. For best results, look for benches that are well-constructed in addition to being easily adjustable. Treadmills are essential if you want to ensure a solid cardio workout. 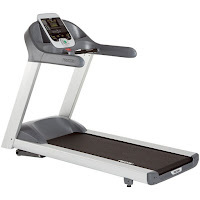 To set your gym facility apart, you should get a treadmill that has varying speed and inclines. A good treadmill should also have heart rate monitoring features. Top brands such as Panatta Gym Equipment offer treadmills with virtual tracks and other add-ons that will surely make your fitness center unique. Stationary bikes are a great alternative to treadmills. They are effective when it comes to enhancing cardiovascular endurance. The great thing about these bikes is that they provide a low-impact option of burning calories. This is a total-body machine designed for strong aerobic workouts. Unlike treadmills and bikes, which focus on the lower body, these machines guarantee a head-to-toe workout. In other words, using it engages the upper body, the core, and the legs. It can help your clients burn tons of calories and still get low impact cardio exercise at the same time. 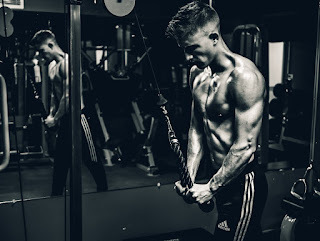 Overall, it is apparent that although there is intense competition in the fitness market, you can still start a fitness center and make profits by using top quality equipment from top brands such as Panatta Gym Equipment. 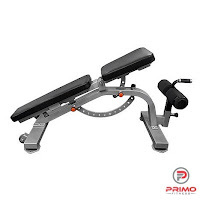 If you are looking for an excellent new or used gym equipment, Primo Fitness is your most reliable dealer. Get in touch with us today for the most amazing wholesale deals. Are recumbent bikes perfect for weight loss? How effective are recumbent bikes when it comes to weight loss? This is a question that is common among people who are looking for effective ways of burning calories. If that is what you are after, then you want to be sure that you are getting a product will guarantee value for your money. Of course, there is a plethora of new and used exercise equipment for sale in the market. However, a recumbent bike is unique exercise equipment for a number of reasons. Below is a rundown of some features that make recumbent bikes perfect for weight loss in certain circumstances. Recumbent bikes have a larger seat compared to upright bikes. This makes them more comfortable, and therefore, it is easier to use them for an extended period. As such, they make exercise more enjoyable and something to look forward to. For people with rheumatoid arthritis and back pain, engaging in physical exercise may sound like a very risky and painful endeavor. Luckily, it is possible for them to work out and burn some calories using a recumbent bike. This is because the bikes are gentle on the joint in that their bucket seats support the lower back, and the ankles and knees are protected against injurious impacts. Besides, recumbent bikes are low impact exercise machines meaning that the risk of pain when using them is extremely low. In addition to providing low impact total body workout, recumbent bikes are known to be very safe. This is because you do not have to stand up on the pedals as is the case with upright bikes. This eliminates the risk of most injuries that occur when using upright bikes. Therefore, recumbent bikes are a great choice for individuals of all abilities. In fact, these bikes are an excellent choice for people with neurological conditions and even the elderly who would like to stay fit. Overall, it is apparent that although using recumbent bikes may not be the quickest way to lose weight; these bikes are very effective in a number of cases. For instance, they are an excellent choice for people looking for less impact workout options such as the sick and the elderly. In any case, these bikes are quite safe to use, and they still assist users to achieve desirable weight loss results. 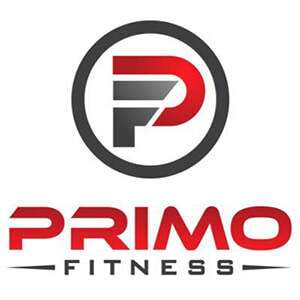 If you are looking for a new or used gym equipment for sale, Primo Fitness is the most reliable dealer to buy from. Contact us today for more information about our business and products. via Blogger Are recumbent bikes perfect for weight loss?